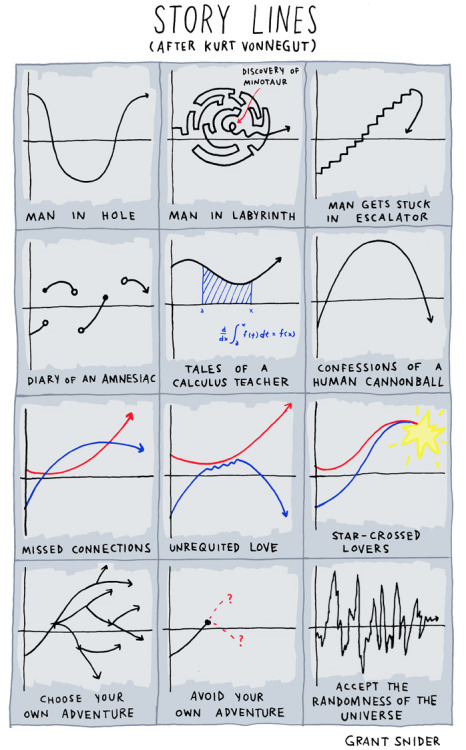 The always spot on cartoonist Grant Snider created this terrific graphic representation of Kurt Vonnegut’s timeless lecture on the shapes of stories. This entry was posted in Art, Books, Film, USA, Writing and tagged Cartoons, Grant Snider, Kurt Vonnegut. Bookmark the permalink.